At TBGS we strive to ensure that all students remain safe and free from harm. We are committed to playing a full and active part in the multi-agency response to child protection concerns. 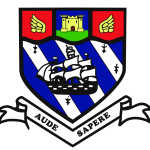 Additionally, the school has a legal duty to safeguard and promote the welfare of children and to have a child protection policy to meet Department for Education and Department of Health requirements. Through their day to day contact with students, and direct work with families, our staff have a crucial role to play in noticing indicators of possible abuse or neglect. 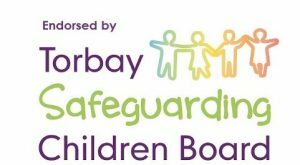 Parents should be aware therefore that where it appears to a member of staff that a child may have been harmed, the school is legally required, as part of the local child protection procedures to report their concern to Children’s Social Care immediately. To avoid any misunderstandings therefore, parents of children who sustain accidental injuries which result in cuts/bruises/fractures should inform the school without delay. We will inform parents of any concerns about their children (providing it does not compromise the student’s safety) and will help and support them as necessary. TBGS will take positive action to prevent children suffering abuse and neglect through the development of an open culture that informs children of their rights and encourages them to speak about any concerns. We will also address the issue of children’s safety through our curriculum. 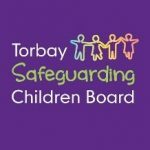 TBGS will refer all allegations or concerns that a child has been or is likely to be abused or neglected to Social Care within the Children’s Services Department. We will also consult with other agencies when it has concerns that a child may have been abused or neglected. At TBGS we will discuss with parents any concerns we have about children. Parents will be kept informed of what is happening, however if it is felt that to do so would compromise the safety of the child they will seek advice from Children’s Services or the Police and act on their direction. Physical and emotional abuse of children by other children will be dealt with through the school’s behaviour and discipline policy, or our anti-bullying policy. Parents will be kept informed. All concerns about possible sexual abuse will be referred to Children’s Social Care. We will attend conferences and provide information about children and families. This information will be shared with parents beforehand. School will keep confidential child protection records separately from a pupil’s academic and other school records. Information and records about children on a Child Protection Plan will be given only to those people who need it and will be kept strictly confidential by them. However, if we were to receive information from another party about the possible abuse of a child then we would by duty bound to pass this on to other relevant agencies. A full copy of our Safeguarding & Child Protection Policy is available on the school website.